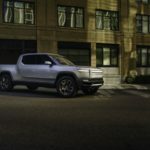 Today Cleantechnica posted a news scoop that Tesla and GM are working together on a fully electric pickup truck using a Tesla drive train. 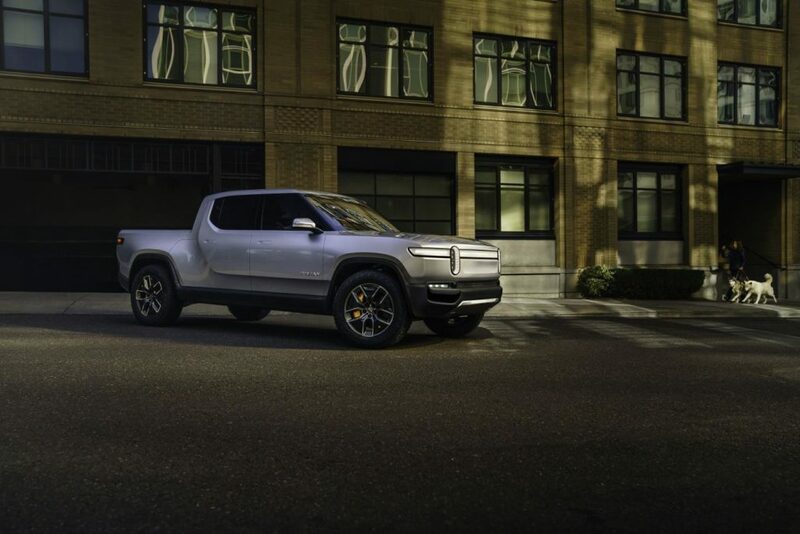 It’s known that Tesla is working on an electric pickup truck, but we’d all expected Tesla to build their own rather than work with an incumbent automaker. While Cleantechnica cannot prove this rumor is accurate, they claim to have enough evidence (that cannot be revealed) to run with the story. 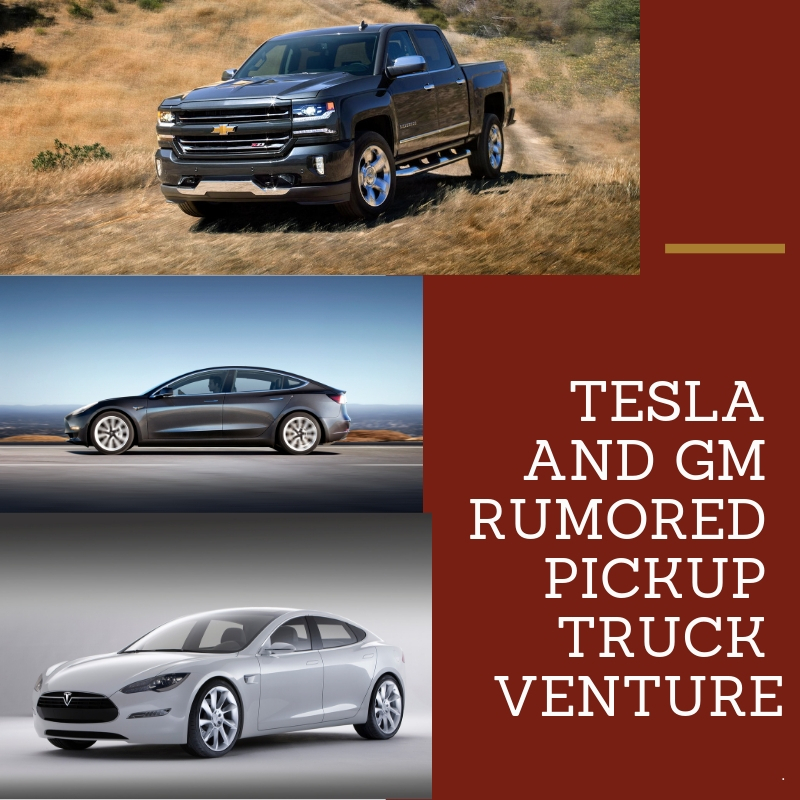 Taking it at face value, that Tesla and GM are working on a pickup truck, let’s ponder why or whether Tesla should do such a thing. Doing a DuckDuckGo search (“pickup truck share total vehicle market”), I found the marketshare data saying that sales in the “light truck” segment is growing rapidly while the “car” segment is falling precipitously. The “light truck” segment includes not just the light and medium duty pickup trucks, but minivans, vans, and SUV’s. The top selling vehicle is the Ford F-150, the second is the Chevy Silverado, and the fourth is the Dodge Ram Pickup. Tesla’s business mission is to electrify transportation, and usher in a revolution in the energy sphere. We get that, which is why Tesla is such an exciting company for taking on such a huge mission. Clearly a large part of the total vehicle market is working class pickup trucks, and a variety of vans and minivans and SUV’s that make up the rest of the light truck market. It isn’t luxury cars and it isn’t sedans, both of which make up the vast majority of Tesla’s income, but represent a fraction of the overall vehicle market. Making a big dent in the environmental problem caused by transportation means changing out the F-150’s (Ford F-150) and S-1500’s (Chevy Silverado 1500) that are the bread and butter of working men and women around the world. Ramping Tesla up to the next level means offering a credible pickup truck for the working class. Elon Musk is on record predicting Tesla’s total vehicle sales will be a few million per year by 2025 (more likely by 2030?). That would put Tesla among the top 10 or maybe top 5 automakers, and require Tesla to offer a much wider range of vehicles than luxury sedans or high end supercars. It’s not enough to build a pickup truck for an “Adventurer” who uses the pickup for a weekend trip to the cabin in the woods. 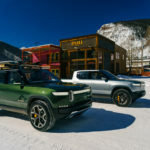 As cool as the Rivian truck is, it is not designed for working class tasks like construction sites. It’s designed to handle tailgating at a sporting event, or taking ski’s to the mountains, or other “adventure” tasks. Tesla’s core competence comes out of building luxury cars. The folks who need a pickup truck for work have very different needs from luxury car drivers. For example they won’t get all worked up over whether the car seats are vegan compliant. If they care about the seats at all, it’ll be about whether the seats can withstand having muddy tools piled on them, and whether you can hose out the truck after a bunch of muddy workers rode back to the office from the construction site. 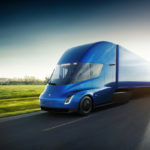 In other words – it’s possible Tesla is incapable of creating a sellable working class electric pickup, and therefore is turning to a company with huge expertise in that market. To add to the speculation — and get further out on a shaky limb — GM recently announced the closure of several factories in Ohio. On the one hand that closure is a big slap in the face of the Trump Administration, since Pres. Trump personally guaranteed those specific plants would stay open thanks to his policies. Let’s not get distracted by yet another Trump lie. More apropos to this discussion is that Tesla CEO Elon Musk openly talked about buying those factories from GM so that Tesla could build more Gigafactories, but Musk’s interest turned sour upon learning that Ohio requires Unions and Musk is famously anti-Union. This sheer speculation: Because Tesla expressed interest in buying the GM plants, but then backed out, the conversation may have turned to GM and Tesla forming a vehicle design partnership. Tesla’s history includes selling not just their own vehicles, but providing drive trains to other automakers. This included the Gen2 Toyota RAV4 EV, the Mercedes B-Class EV, and I think there was one other car with Daimler. Many have suggested over the years that Tesla might be better off being a parts and drive train supplier, rather than selling its own vehicles. Maybe, or maybe not. It’s up to Tesla’s management what direction to take and so far their biggest success has been at selling their own vehicles. All drive train and parts deals Tesla has made so far fizzled. 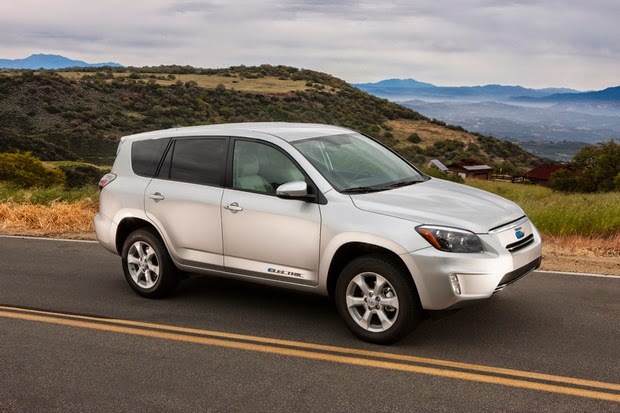 The RAV4 EV is loved by the people who own them, but Toyota designed it on the previous generation RAV4 body, and had the intention to sell a precise number of these cars (about 2200). In other words, Toyota made a compliance play and was not a serious partner. I don’t know the history with Daimler as well, but believe it to be a similar deal. Bottom line is that neither deal amounted to anything significant. On GM’s part, they’ve proven adept at incorporating components from suppliers. The well regarded Chevy Bolt EV is full to the gills with parts supplied by LG, from battery packs to drive train to infotainment system. One would think a big company like GM could figure out how to build such things. But that’s not GM’s history. Er… let’s be fair to GM for once. On GreenTransportation.info I’ve made a collection of videos about the GM EV1 . 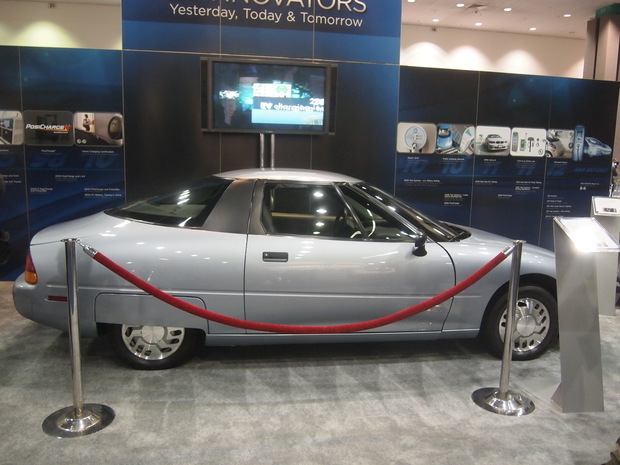 The GM EV-1 was a well-loved car. I got to drive one back in the day and it was a fantastic experience. Important here is that the drive train was not designed by GM, but by AC Propulsion and Aerovironment. GM also built an electric pickup truck, the Chevy S-10 EV, from the same drive train. 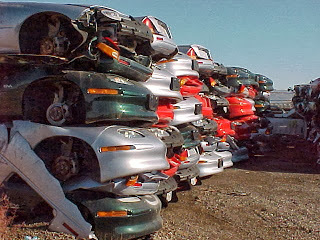 For that matter the auto industry as a whole is very comfortable with buying parts from other manufacturers. Rare is the automaker that does what Tesla attempts, namely to be a fully vertically integrated company designing and manufacturing as many of its own parts as possible. The whole story – GM and Tesla in a joint venture – cannot at this time be taken as anything other than a rumor. However there is some credibility to the idea that Tesla may have a difficult time getting out of their luxury-car-manufacturer box. Therefore it is plausible that Tesla will instead form a joint venture to address other vehicle segments. What adds to the plausibility is that GM is able to offer factory space. That Tesla does not want to directly own/operate that factory space makes it even more likely for Tesla and GM to instead work together. GM has a long history of collaborating with unions. And while GM’s EV-1 was a fiasco, their more recent electric vehicles are very credible and well liked. It’s possible that a GM+Tesla joint venture might be successful where other joint ventures with Tesla have failed. GM, Tesla Motors, Tesla Pickup. Bookmark.